Spend your time in comfort and versatile style with the SKECHERS BOBS Day 2 Nite - Sunnyville shoe. 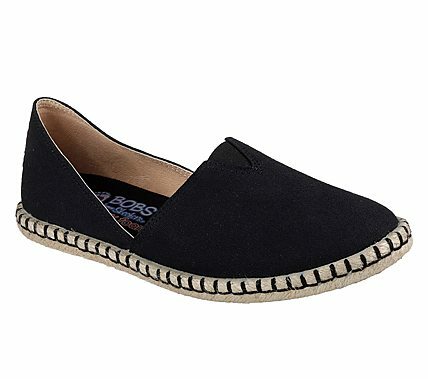 Soft woven canvas fabric upper in a slip on casual espadrille slipper flat with stitching accents. Memory Foam insole. BOBS helps make a difference for animals and kids - learn more here.